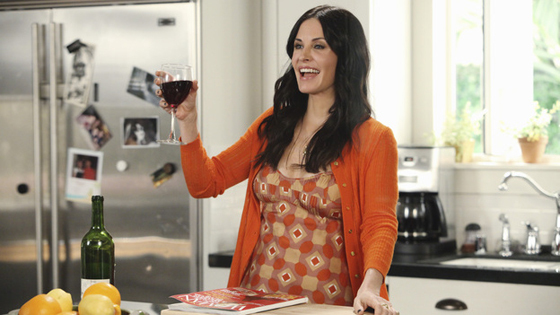 At long last, after nine months of waiting, Cougar Town is finally returning to television tonight with its Season 3 premiere at 8:30/7:30c on ABC. Yes, I know. It's Valentine's Day. But what is more romantic than staying at home with your sweetheart, cuddling up on the couch with a giant bottle of wine and laugh hysterically while watching the Cul De Sac Crew?! The answer is nothing. Nothing is better than that. Plus, having already seen tonight's premiere at the viewing party last week I can assure you that there is enough romance involved in the episode to keep Cupid satisfied. There's really not much more to be said that I haven't already before, so I'll leave you with this: Cougar Town is an amazing show masked by a horrible title. You will thank me if you start watching it, so for crying out loud: STAY HOME TONIGHT AND WATCH THE SEASON 3 PREMIERE OF COUGAR TOWN AT 8:30/7:30c ON ABC!! !